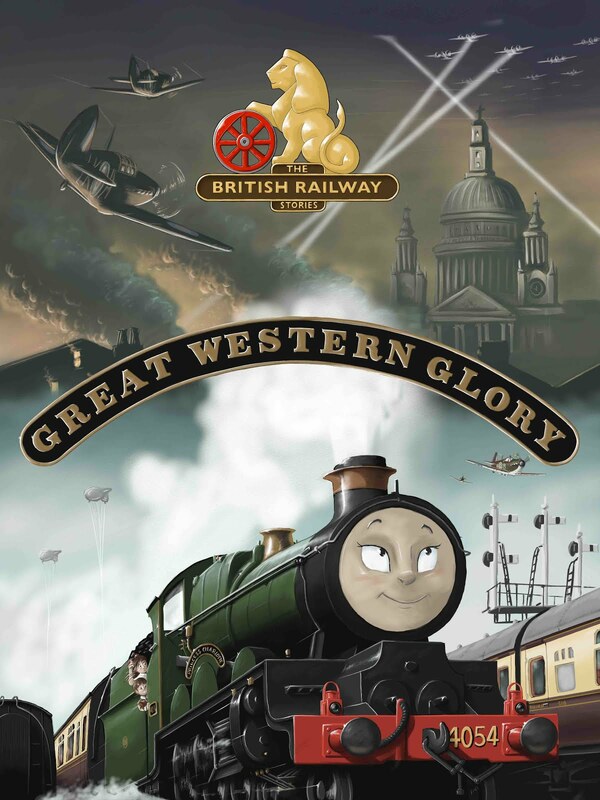 THE BRITISH RAILWAY STORIES LTD: "Charity Auction Piece Arrives!" I was delighted to hear from the winner of The British Railway Series Charity auction this week - including a photograph and note to show the canvas print (complete with my signature) had arrived safely. Thanks very much for the chance to win this one of a kind canvas. I'm delighted to own a collectors item, and help two worthy charities. This will always have special place in my room, and will be even more meaningful when I get my own layout started! 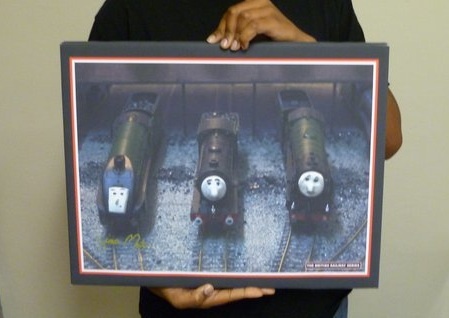 I was very touched to get such a lovely thank you note from our top bidder, whose high bid for the canvas print helped myself and Ryan Hagan of the Sodor Island Forums donate some money to the Corris Railway Falcon Appeal, and The Railway Children Charity. Who knows, that canvas print might be worth something one day...!